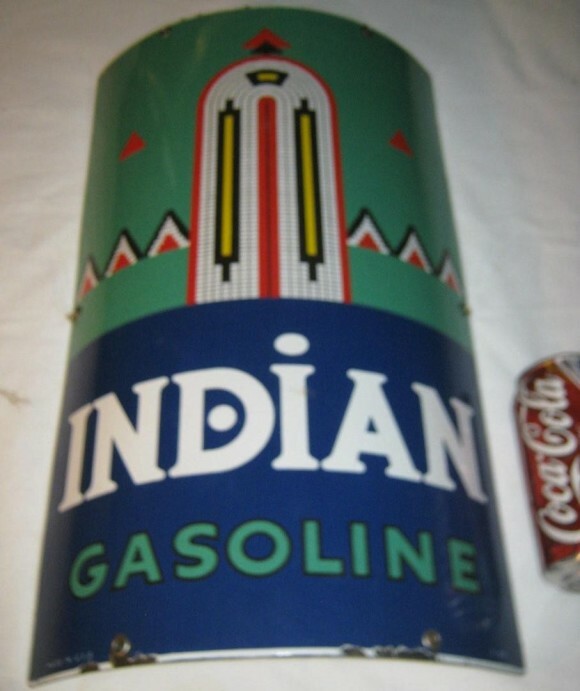 This curved Indian Gasoline sign measures 18″ by 10″. The sign is dark green, blue, white, red, and yellow. At the top of the sign is an Indian tribal pattern. The sign has mounting holes on the top and the bottom.